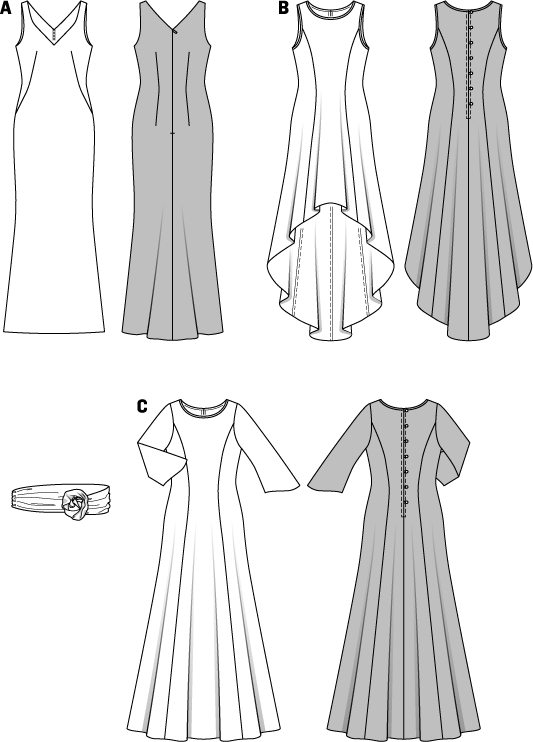 Elegant evening gowns with nice front and rear décolletés, form-fitting shapes, slightly flared towards the hem. Each of them an eye-catcher. Translucent overdresses, either sleeveless or with ¾ sleeves, give them a premium touch. Make the test! Belts with ornamental roses cut from the same fabric accentuate the waist.